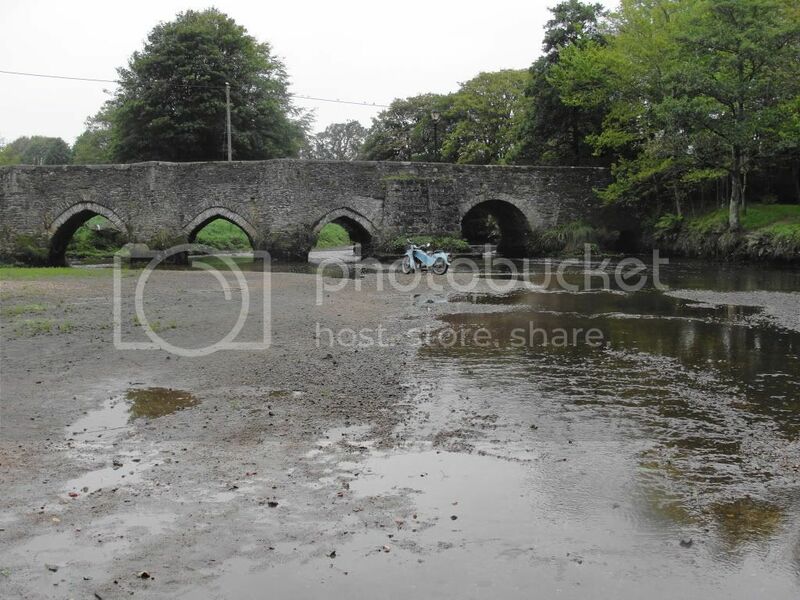 Continuing this year's theme - fifteenth century bridges in Cornwall - it is my great pleasure to present for your enlightenment and transport Panters Bridge over the River Bedalder between St Neot and Warleggan. 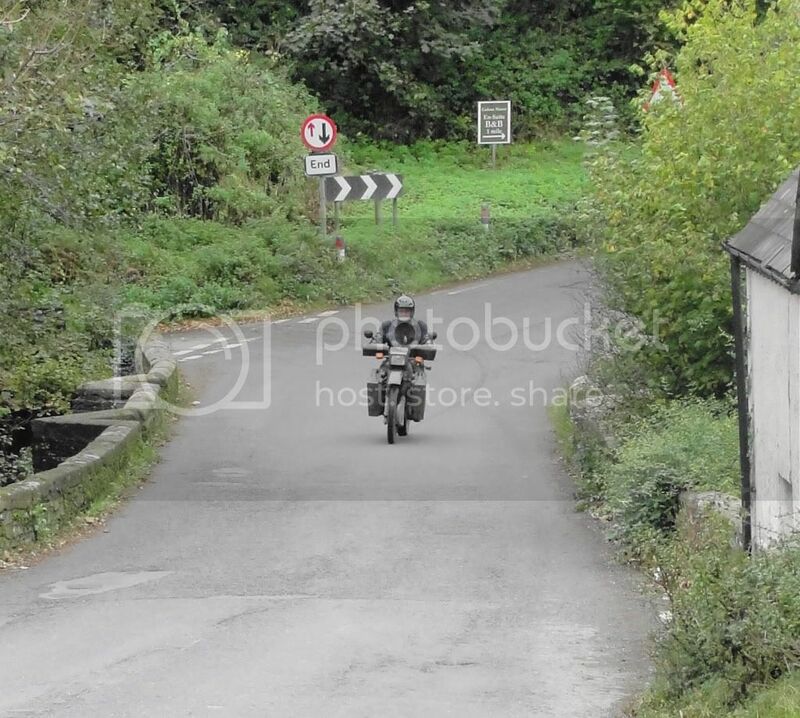 Regular readers will remember that Warleggan is twinned with Narnia and that Panters Bridge is a checkpoint on the Lands End Trial. On this drizzly but very warm autumn morning Panters Bridge sports a twentieth century Military Transport 350 motorcycle by Harley Davidson with plastic handguards by Mole Valley Farmers. â€” at Latitude/Longitude: 50.4831, -4.5964. Just be careful taking the MT over that bridge, its close to the maximum gross weight. Could this develop into an autumn challenge around the country for us MT owners. 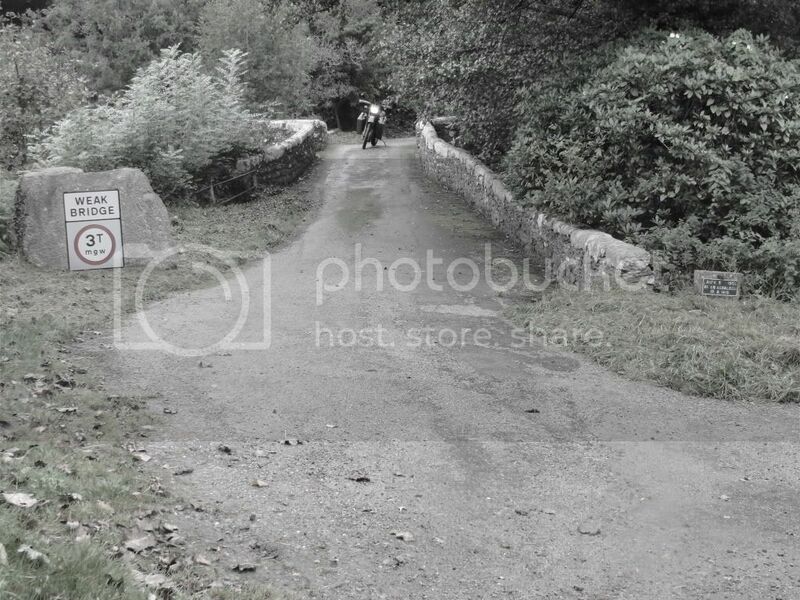 Search out an unusual bridge in your area and send in an image with your MT astride it??? I'd offer to facilitate some export/import venture but I've been told in terms that the MT is an unregisterable bike in the U.S.. In Cliver Wood near Bosent, Cornwall. 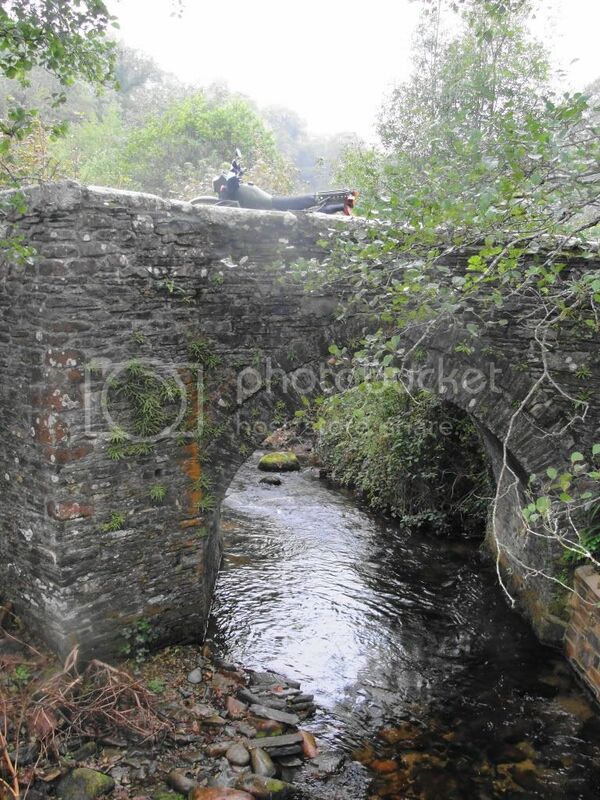 Obviously this bridge was not made for modern traffic and is on a busyish road between Callington and Liskeard. It is frequently the site of tragic road traffic accidents; that being so a parking-based photo was just not on and I roped in my little pal with the (Fake) Goldie to produce this action shot. I think he caught the grey-bearded loon thing pretty well. Tomorrow? 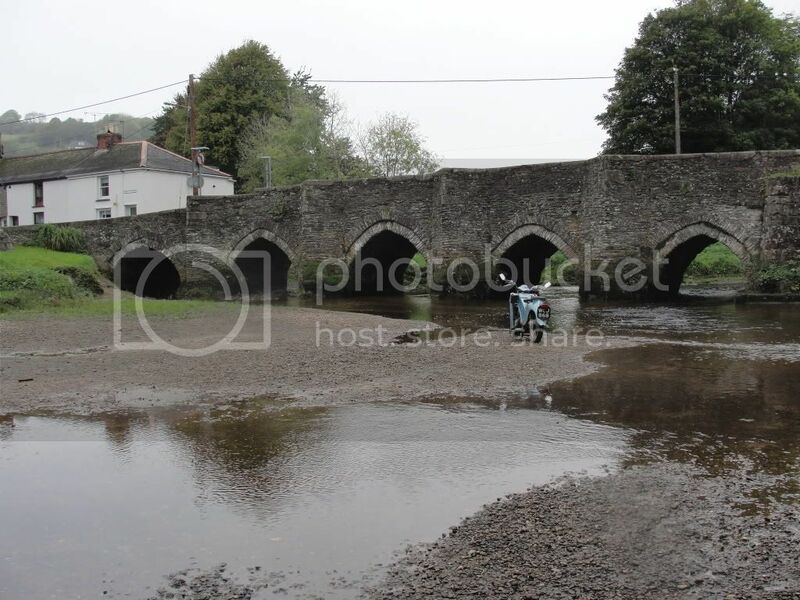 Lostwithiel on the Velo. Probably. To Lostwithiel parish via St Winnow. 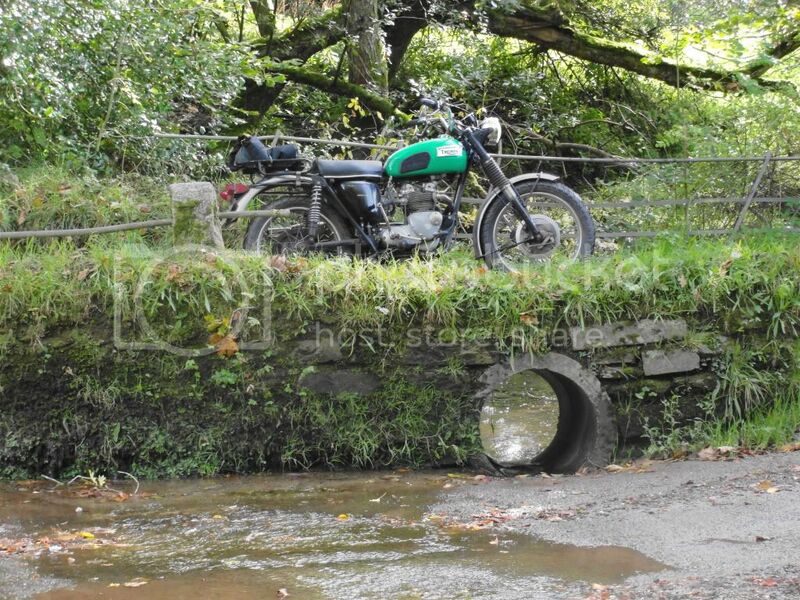 Here the little Velo and I did brave the flood defences and on to the very bed of the River Fowey. A couple of quick snaps then home for lunch.